OMG Posters! 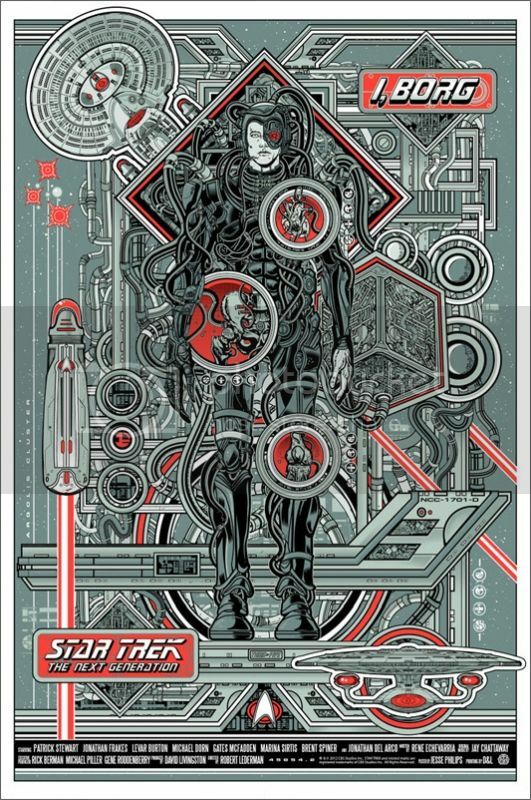 » Archive "I, Borg" Star Trek Poster by Jesse Philips (Onsale Info) - OMG Posters! Mondo will release a new Star Trek poster by Jesse Philips today. “I, Borg” is a 24″ x 36″ screenprint, has an edition of 250, and will cost $40. The variant with metallic inks has an edition of 80 and costs $65. It goes up today (Friday, November 18th) at a random time. Visit Mondotees.com. Jesse’s pieces are all just too busy for me. I’ll pass, but GL to everyone. If anyone would like me to grab one for them that cant sit for the drop today, let me know. Just got the poster. Looks great!!!! Nice work Jesse. This needs to be a pinball machine headboard, STAT!